Fig. 19. 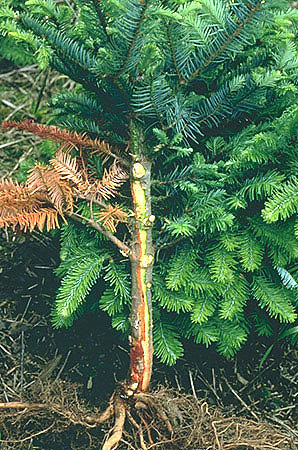 Phytophthora-caused stem canker extending up the side of a noble fir tree.